For the first time, not just one, but two ECAM engineering programs received a mentor. ECAM Arts et Métiers, the School’s traditional program; and ECAM Engineering, which started in 2015. At 40 years old, Sébastien Blanchet has been successful in his chosen field. When he graduated with an ECAM Arts et Métiers engineering degree in 2001, the consulting field was taking off and he took advantage of this. After 10 years of experience with Chorège and then EY, Sébastien Blanchet started to go into the headhunting field. With his associate, he created his first recruitment agency in 2013, and then a second one in 2017. 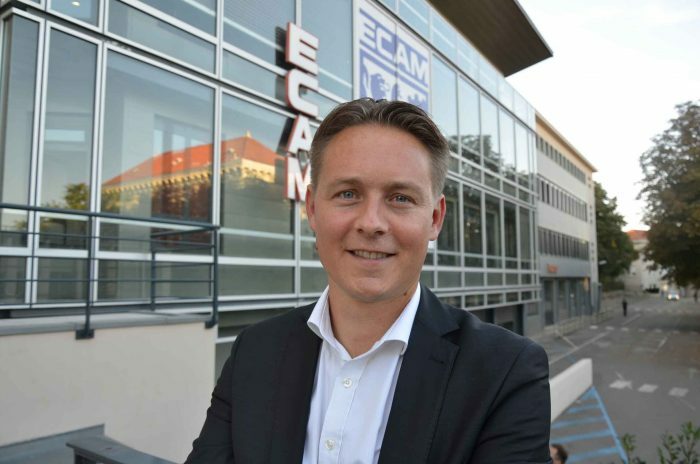 As of now, 16% of new ECAM Arts et Métiers graduates start their career in the fields of consulting and recruitment. All third year ECAM students receive an ECAM engineer mentor coming from the professional field. For Sébastien Blanchet, this is not just symbolic.